Clare Walking Tours specialise in Single Centre-Self Guided walking tours, holidays and short breaks in the East Clare region, on the shores of the beautiful River Shannon and Lough Derg.Clare Walking Tours specialise in Single Centre-Self Guided walking tours, holidays and short breaks in the East Clare region, on the shores of the beautiful River Shannon and Lough Derg. Why not take a break from the chaos of the city or just normal business stress and enjoy a carefree couple of days exploring the beauty and local charm of our small towns, villages, rural communities and unspoilt countryside. 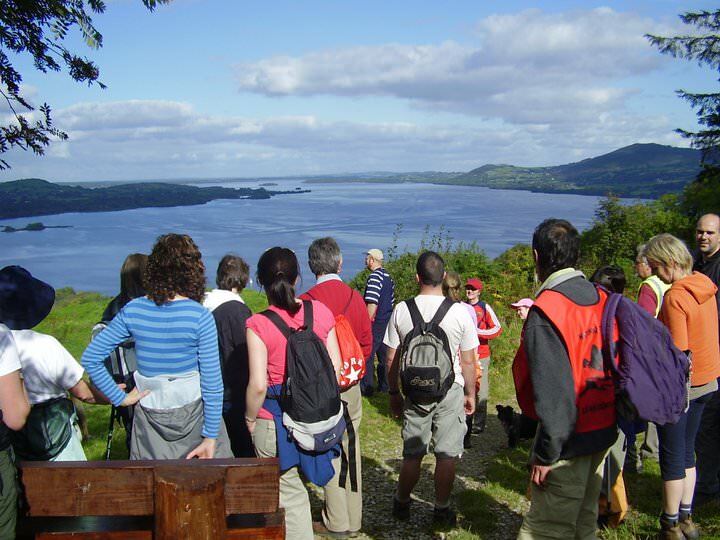 Clare Walking Tours are right in the heart of the East Clare Lakelands and are an excellent base for enjoying the walks and sights of this wonderful corner of Ireland. You will stay at the very centrally based and luxurious Clareville House B&B which has Failte Ireland and AA 4Diamond approval and is situated in the beautiful heritage village of Tuamgraney. We aim to ensure that you thoroughly enjoy your experience with us and to that end, FLEXIBILITY AND MIX AND MATCH are our strong points. You decide on the walk or walks that suit you, the length of time you want to stay, your travelling arrangements, how many people are coming with you and we will then arrange your ideal holiday package. As you can see, our walking holidays are very much customer friendly and are all about you.